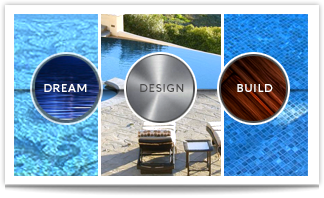 Modern Watershapes, LLC was started in 2014 and began as a small provider (JMAC Pool & Spa Service) of regular pool and spa weekly services. Our pool service company is now responsible for maintaining over 200 clients between El Segundo and Long Beach, and has broadened its reach into the pool construction and design avenues of the swimming pool industry. We believe in only offering the highest quality of care and service for our clients. Modern Watershapes focuses on loyalty, integrity, professionalism, and craftsmanship. 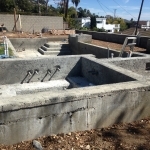 We are not willing to sacrifice quality work for cost, and our company is known for handling some of the most difficult and intricate water features and swimming pools in the south bay. From $400 million dollar resorts to high end residential pools; our experience speaks for itself. Maintenance & Service: Our service division handles high end residential and commercial properties and our services vary from regular weekly maintenance to acid washes, chlorine washes, equipment installation and repair. We do everything we can to keep the customer up to speed with their backyard to whatever level of knowledge they require — whether it be simply knowing how to turn on the equipment or the finite details of their hydraulics and water chemistry. Design & Construction: Construction and design are new avenues for Modern Watershapes and our goal is to focus primarily on modern and contemporary influences in water features ranging from pools, spas, fountains, and interior water features. Our network of highly reputable resources and contractors allows us to provide the ultimate level of design and construction with the safety of insurance, licensing, and responsible construction practices. We do not sacrifice product for price, and we do not cut corners. Everything that our company is involved with is to code and legal constraint while still providing flexibility with our client’s needs.